What to look for when researching replacement windows online. How energy efficient windows are rated and what ratings to look for. What questions you need to ask when looking for a company to replace your windows. When it comes to doing research, the internet is a great tool. With a few clicks, you have hundreds if not thousands of pages of information at your fingertips. When you are considering a large purchase, looking online can help you to find the best product, price, and company. So, if it’s time to replace the windows in your home, take a minute to research vinyl replacement windows online. There are three things to focus on when researching vinyl replacement windows and their manufacturers which include energy efficiency, design, and cost. Replacing the windows in your home shouldn’t be cut-rate, so while you’re budgeting for the update, you should consider investing in energy efficiency. This will make your house easier (and cheaper) to heat and cool immediately after installation. The window’s U-value, which measures the rate at which heat goes through a material, is one of the ways you can see how energy efficient the window is. The lower this number is the better. Why? Because a low number means that less heat is transferred through the window. That means keeping the heat out during the summer or in during the winter, which is what you’re looking for. Be sure to check out the replacement window’s air leakage rating too. This rating measures how much air is escaping around the window. Again, the lower the number the better because a low number means less air is getting in or out. This is also known as the AL value. The Solar Heat Gain Coefficient or SHGC measures the amount of heat that the window lets through it. If the number is low, the level of heat coming through the window is low. If the number is higher, the amount of heat coming through the window is higher. If you live in a warm area, you certainly want to keep the heat on the outside! Energy efficient windows are certainly not the least expensive replacement window option, but they will help to reduce the amount of money that you pay to heat and cool your house for years to come. One problem that some people have with replacement windows is that they don’t match. In some cases, they don’t match the existing windows, or they don’t match the structure of the home. So, while they may be a more efficient upgrade than what is currently in the home, they may not be aesthetically pleasing. When you are researching vinyl replacement windows online, look for a company that offers a variety of designs and appearance options. In terms of design, look for someone who can offer a variety of window types such as double hung windows, bay windows, and more. Look for a company that makes the extra effort in terms of appearance, product and service. 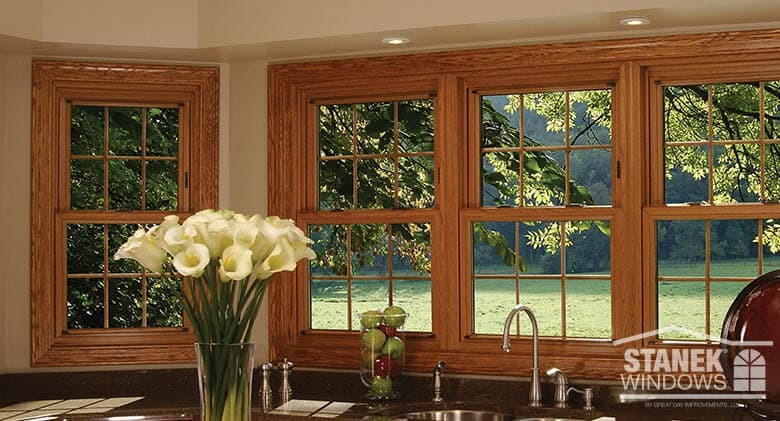 Some companies will offer custom window and frame options so that you can create the perfect look, like Stanek Windows. Cost and convenience is another important aspect to consider when you are looking for a good window replacement company. Before making a decision, create a budget. Take a look around your home to determine how many windows you will be replacing. Then, start shopping around and see what the average price for replacement windows is. Once you have an idea of what’s available, you can create a budget that works for you. Keep in mind that replacing all your windows at one time is cheaper than replacing them several at a time even if it does mean a large upfront cost. Can the company install the windows and do it quickly? Does the company provide custom options such as different glass and frame options? What type of warranty will come with my window? 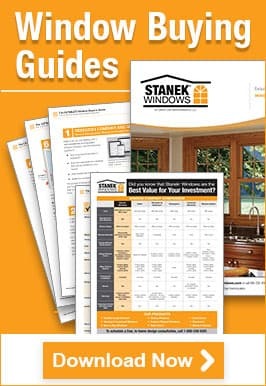 Stanek Windows of Great Day Improvements offers UltraExtreme™ replacement windows. These energy efficient windows feature custom-milled sash designs, custom interior muntins, a variety of glass options, and much more. They have everything you need in one convenient package. So, when you are researching vinyl replacement windows online, be sure to consider energy efficiency, design and appearance, and cost and convenience. If you are ready to take the next step in your purchase of replacement windows, schedule a free, in-home estimate today!